Vote for The St. Regis Punta Mita Resort or the Four Seasons Resort Punta Mita in the category of Best Beach Hotel in Mexico and win a trip to Thailand. 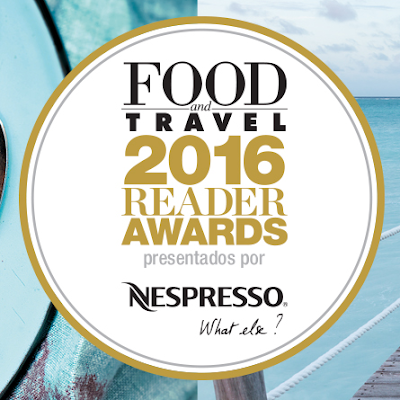 Food and Travel Mexico magazine already has the nominees for the third edition of the Food and Travel Readers Awards 2016, and this year two of the Riviera Nayarit’s hotels are among the finalists. The Four Seasons Resort Punta Mita and The St. Regis Punta Mita Resort are both located on the Riviera Nayarit’s Glamour Peninsula and are nominees in the category of Best Beach Hotel in Mexico. The deadline is midnight on October 21, 2016. Food and Travel is giving away an eight-day, all-expenses paid luxury trip for two to Thailand with business-class airfare on KLM (Mexico-Amsterdam-Bangkok-Amsterdam-Mexico) with stays in special category hotels. Voters can be of any nationality but they need to reside in Mexico. To learn more and cast your vote visit: http://foodandtravel.mx/awards/.